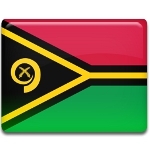 On February 21, Vanuatu celebrates Father Walter Lini Day. This public holiday is dedicated to the founding Prime Minister of the Republic of Vanuatu. Father Walter Hadye Lini was an Anglican priest and politician. In 1970, he founded the New Hebrides National Party that later changed its name to the Vanua'aky Pati (“Our Land Party”). At the time, Vanuaty was a condominium ruled by France and the UK. Lini's party was mainly backed by English-speakers. The Vanua'aky Pati pushed for the independence of Vanuaty. When the country's independence was proclaimed in 1980, Father Lini became Prime Minister. He left office in 1991 after a split in the Vanua'aky Pati and joined the National United Party. Lini died of an illness on February 21, 1999. Lini's administration was quite controversial in the West due to its ties with socialist countries. His term in office was marked by tensions with the United States, France and some other larger countries as he strongly opposed nuclear testing in the Pacific region. Despite all controversies, there is a public holiday that honors Lini. Father Walter Lini Day celebration includes special remembrance church services and a wreath laying ceremony at Lini's grave.